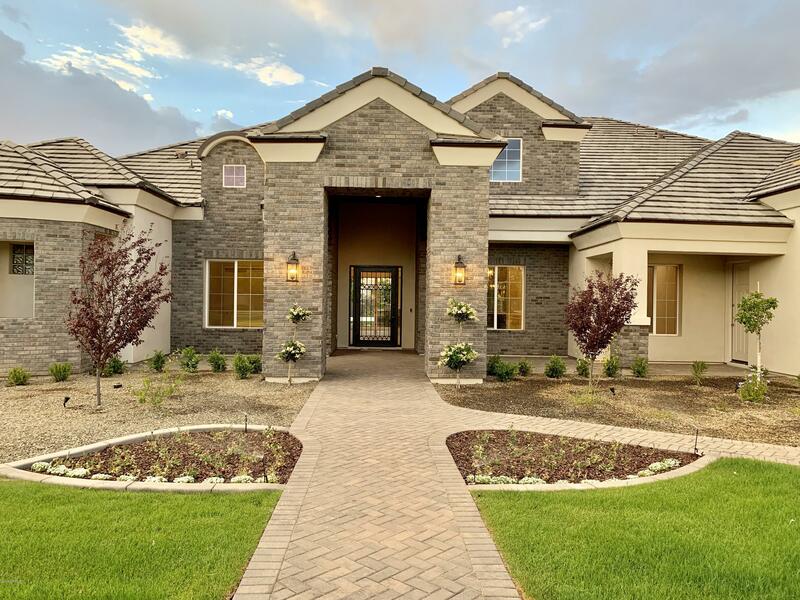 All OCOTILLO GROVE ESTATES homes currently listed for sale in Gilbert as of 04/19/2019 are shown below. You can change the search criteria at any time by pressing the 'Change Search' button below. "Newly completed! Elegantly appointed high-end custom home in the desirable and completely built-out GATED OCOTILLO GROVE ESTATES. 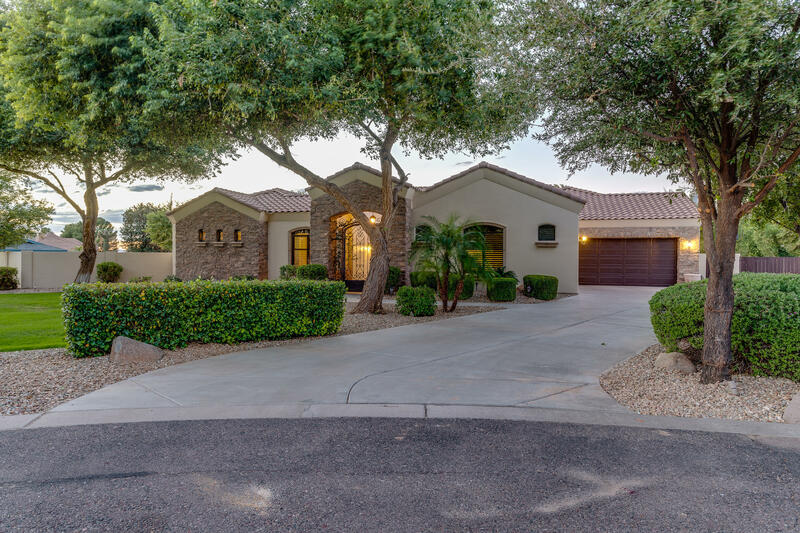 Fabulous location close to Chandler/Gilbert shopping & entertainment, freeway, etc. This exquisite custom home features the latest design elements with gorgeous finishes thru-out,a soaring 18' entry, hand forged iron door, GORGEOUS custom-built hi-end, double stacked cabinetry with glass inlays, gorgeous granite, marble and wood countertops, distinctive/ezcare wood t"
"Step into this Santa Barbara style home and notice the vaulted ceilings and exposed beams. The extremely open and airy main living area ensures everyone can enjoy each other while cooking and entertaining. Dinners will be a snap on your induction cook top stove. Let Calgon take you away in the spa-like master bathroom while soaking in the oversized Japanaese soaking tub. When you walk downstairs, you will find a huge game area for the kiddos as well as a theater room to maximize the fun while "
"LISTED BELOW MARKET PRICE FOR IMMEDIATE SALE! 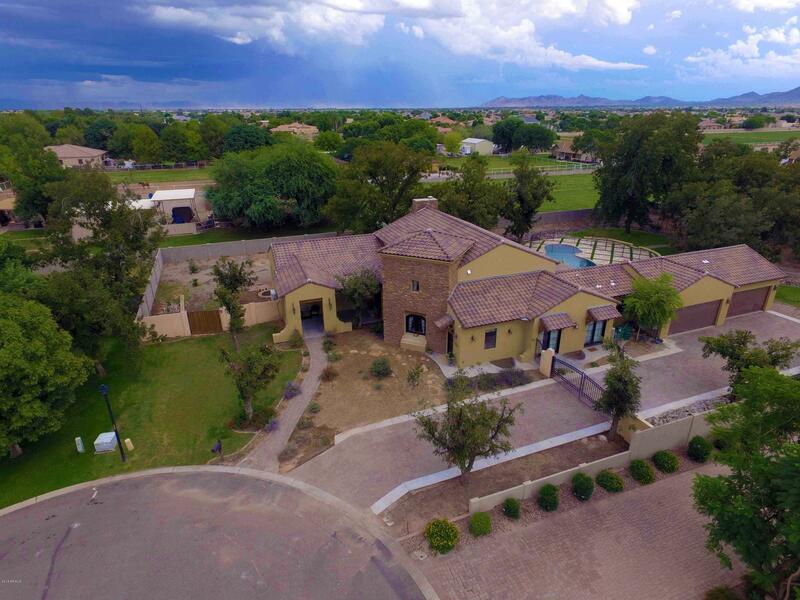 GORGEOUS CUSTOM HOME IN THE DESIRABLE GATED COMMUNITY Ocotillo Groves Estates, a quite 20 home community nestled in Pecan Grove setting with almost 1-acre homes! Enter thru wrought iron gates to a courtyard with fountain and step inside the grand entry foyer and magnificent living room overlooking the gorgeous INFINITY POOL with reverse negative edge spill over! Floor plan includes gourmet kitchen, 5 bedrooms, rich hardwood and travertine flooring, h"